Ideal for collecting and displaying in the smallest of places, our miniature figurines are fun and minute pieces of history. 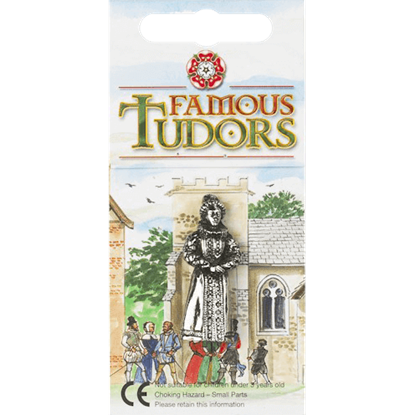 We offer a wide range of miniature figurines and miniature figure sets that are based on historical eras ranging from the days of Ancient Rome and Greece to the Renaissance and the Tudors. 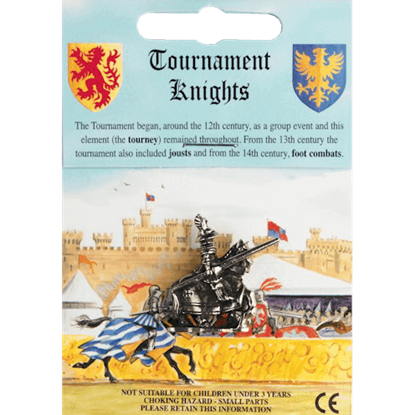 Check out all our miniature medieval soldiers and jousting knights here, as well as mini gladiator packs, miniature Celtic boars, miniature Viking figures, and mini Scottish soldiers. Many of these miniatures have impressive details and are made of lead-free pewter, making them great additions to collections, delightful accents to decor, and thoughtful gifts. This figurine is so accurate that it looks like it might has well have ridden out of the pages of history! 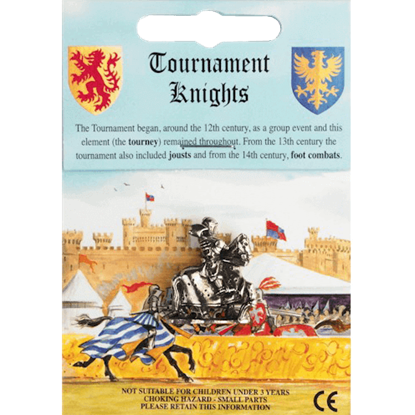 The 13th Century Tournament Knight Figure is supplied with a full-color information card complete with historical information. The medieval tourney was not always about jousting. Often, it was a series of combative events that pitted one knight against others. 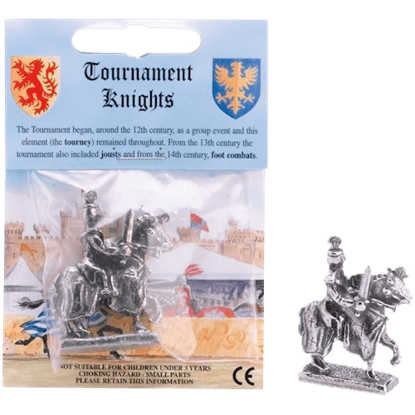 This 1500 Century Tournament Knight Figurine depicts one warrior as he rides in one of the events. The joust is perhaps one of the best known events in a medieval tourney. This 1520 Tournament Knight Figurine depicts one such warrior who is armed and ready for just such an event, as he sits on his horse, awaiting the next charge. 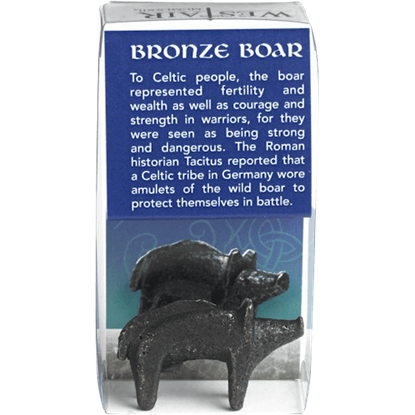 A prized animal, the boar represented stubbornness, war, and bravery to the ancient Celts. The meat was served as a special offering to honored guests. The Celtic Boar Miniature features a design inspired by historical artifacts. 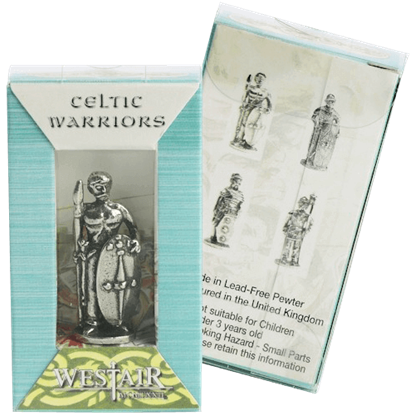 Contained within this simple package is a Celtic Warrior Figure that is perfect for collecting and display. Each figure comes contained in a full-color box with images on the front, as well as images of the four varieties on the back. This all-metal statue is the Charles Darwin Figure, which depicts the man known as the father of evolution. 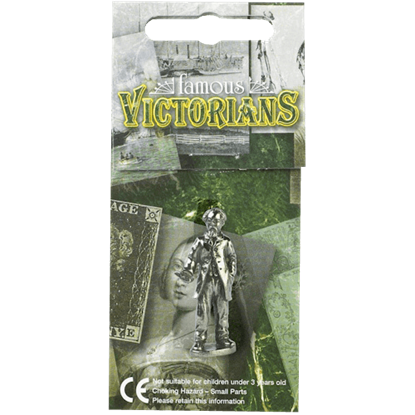 The statuette comes attached to a full-color information card, which features details about all four figures in the series. This all-metal statue is the Charles Dickens Figure, which depicts one of, if not the greatest novelist of the Victorian Age. The figure comes attached to an information card, which features details about all four figures in the series. This impressive fellow is made entirely of metal and depicts one of five different figures that took part in the English Civil War. 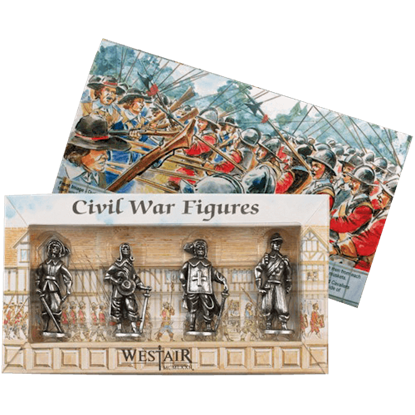 The Civil War Figure comes in a full-color box, whose back features images of all five figures. This impressive all-metal figurine is the Elizabeth I Figure, which depicts one of the Tudor Dynastys successful queens. The figurine comes attached to a colorful card, which features information about the four figures in this series. From 1642 to 1651, England saw its own fill of strife, as Parliamentarians fought against Royalists in a series of civil wars. 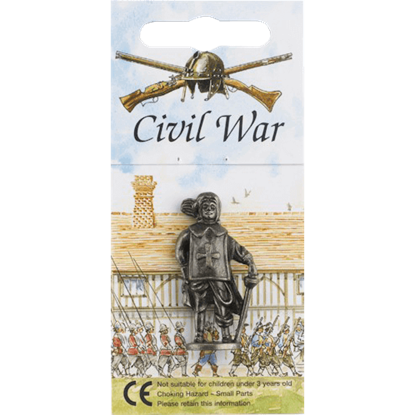 This English Civil War Figurine Set is a four-piece pack that depicts four of the warriors in that conflict. 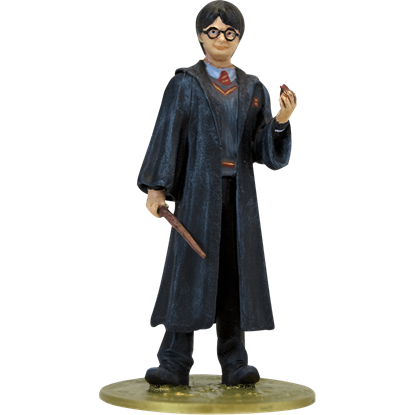 Get ready to swish and flick your mouse icon and Wingardium Leviosa this Harry Potter Year 1 Metal Miniature into your shopping cart because this mini is metal magic! It may not be a chocolate frog, but this mini is a must have! This impressive all-metal figurine is the Henry VIII Figure, which depicts one of the kings of the Tudor Dynasty. The figurine comes attached to a vivid, colorful card, which features information about the four figures in this series.